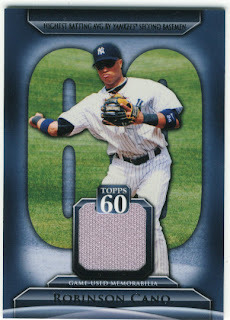 Over the past few months I have been dabbling in eTopps minor league cards for funsies. 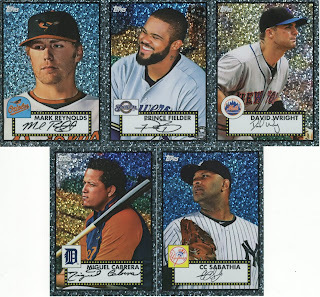 I don't usually do any prospecting or minor league card collecting but these guys are pretty much a sure thing to get to the majors, especially Mike Trout. I was most interested in the Sanchez for my collection, and was super happy that I got one of those. 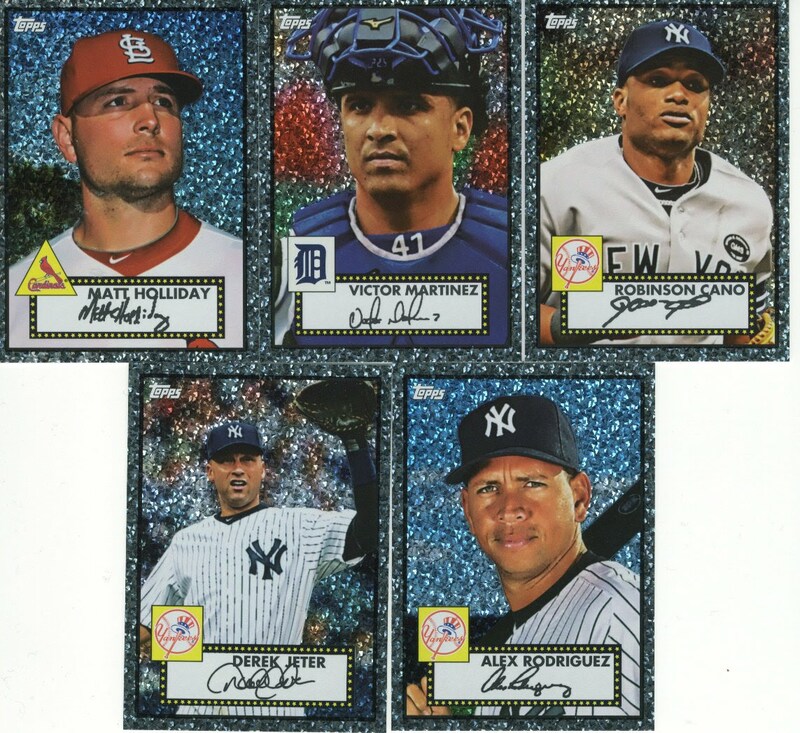 The Mike Trout is more of an investment card at this point, I will probably end up flipping it when he gets closer to making his debut in the majors. 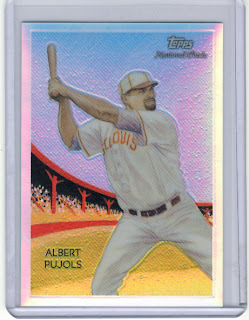 Personally, I wouldn't mind if Topps used this design on cards that they release for hobby products. I think the design is cool and different- something we all like to see. Did anyone else snag some minor league eTopps cards? Every time the mail comes and brings me things like this bubble mailer, it reminds me why as much as I love to open packs I need to stick to singles. There is nothing better than getting an envelope full of stuff you want. 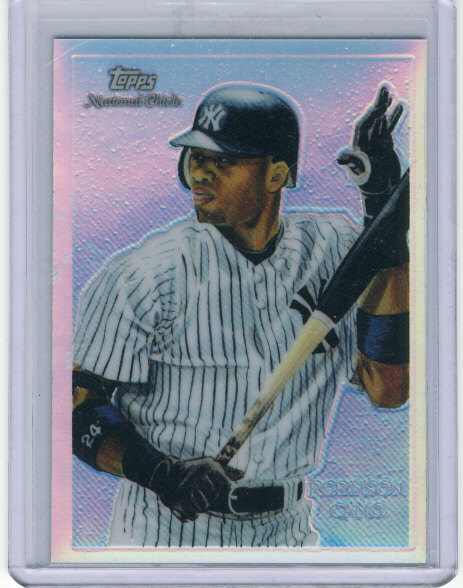 I am still trying to hunt down the last of the 2010 National Chicle cards and 206 Chrome/refractors for my collection of both Cano and Pujols. So if you have any please let me know. 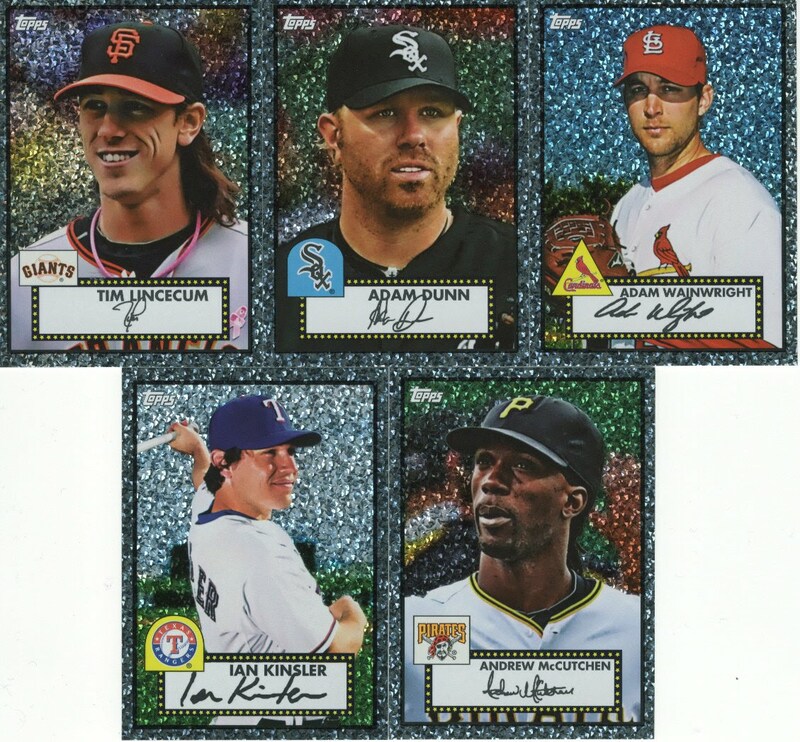 Here are the shiny mojo-ey cards I got in the mail. I love cardboard. David over at Long Fly Ball to Because was kind enough to send me this card to fill in a missing link from 2011 Topps Series 1. 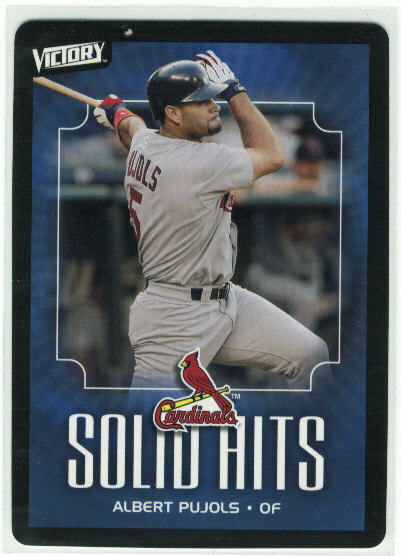 There seem to be 3 versions of this card, one with a road jersey, one with a stripe, and one with some random red jersey. Overall this mail day was a win. If you have any Chicle or 206 cards of Cano and Pujols (refractors only) please let me know. Who has the best friend ever? As a result of Sooz being super busy with work, and me being in school it took us a while to get around to exchanging Christmas gifts. Not this long, but I have been a little lazy on the blogging in case you hadn't noticed. Sooz always gets me something I want/something I actually like and will enjoy. This present was no exception and is definitely worth showing off on the blog. 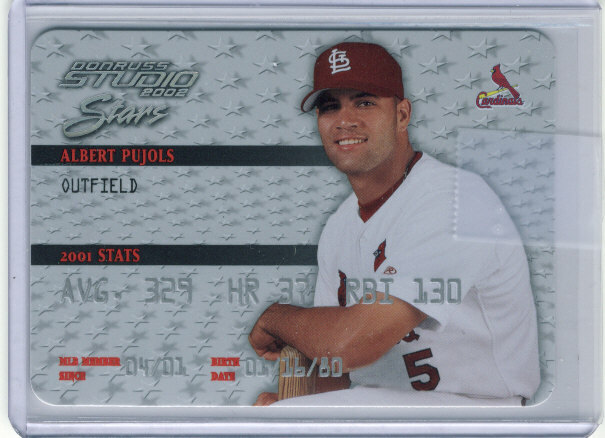 2006 Upper Deck Albert Pujols Game Used Patch card. The card is MOJO! I freakin' love it. Yes, it is the best time of the year right now. Spring is here (I assume it feels like Spring somewhere, but it's not NY), and baseball starts this week. But for Yankees fans, this week sometimes includes finding out how much a game will cost you this season as opposed to last. While my tickets did not increase last year, they did go up $3.00 this year to $15.00 per seat in the bleachers. While I am not complaining about that, when I looked into other stadiums bleacher seating, it made my tickets all the more reasonable. However, today on Twitter I heard an insane tidbit of information. Apparently the parking at Yankee Stadium lots is now $35.00 per game, up from $23.00 per game last season. I might have driven to 2 games all of last season, but I don't remember driving to a single one to be honest. Ever since they have had access by train I have relied on that to save money on gas and parking. I know that many of you guys have ticket plans to your favorite team, and even if you don't you have parked or know how much parking is where your team plays. Does $35.00 seem outrageous to you or is that about the going rate in your city? I also went ahead and looked into who owns the parking garages around Yankee Stadium, and it's not the Yankees. They are owned and operated by Standard Parking which is "regulated" by New York City. Let me know what you think. This has had me curious all day. I had to edit this post, the tickets are now $15 per game. It's that time of the year folks! Fantasy Baseball drafts are running all over the place, including here tonight. I know our draft is kind of late, so I'm curious how other people did. Who was your first pick in your draft? Hey everyone tonight is the beginning of our Cardboard Problem fantasy baseball season. I just wanted to make sure everyone had a reminder about that and it will start at 10:15pm. I know that it's late but Yahoo! wouldn't let me pick any other time, it kept telling me there are no drafts available at that time. That being said, I know most of us have to be up early Monday so hopefully we can make this move fairly quickly by having our next couple of picks prepared between picks. I'm looking forward to talking with you guys later. So I caved and went to the show because, well because why the hell not? Sure, I had other things that I could have done today that would have cost me nothing but...... this was way funner. What I would like to note for the people that said they may go on Sunday is you really shouldn't bother. Over the last year or two that show has gotten significantly smaller, and this show was even worse than usual. If you don't want old newspapers or old junk, there really wasn't much. The few usual suspects that I deal with were there, along with the one table who overvalues everything on earth (i.e. 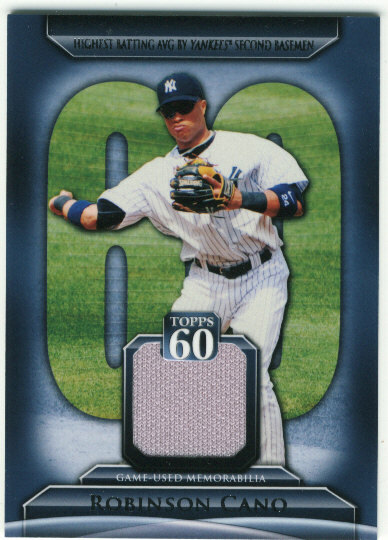 $3 for a Jeter ToppsTown from 2011). I also noticed there were a few people who are there at every show were missing or half the size. There wasn't much newer wax around, or maybe that's because there hasn't been much released. 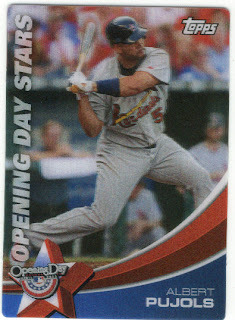 There were not many 2011 Heritage singles, chromes or refractors. One guy tried telling me a Phil Hughes 2011 Heritage refractor was $15. I laughed in his face. There was also a Jeter 2011 206 refractor for $15... again, no. Then I walked around and wasn't really seeing anything and was getting kind of bummed out that I had spent more on gas, tolls, and admission than I found in cards. After about a half hour of milling around I found something that has been on my radar for a while. Same dude also had these in a cheap box of singles. Idds are I have one or both of these since I can never go to a show without buying something I already own free and clear. 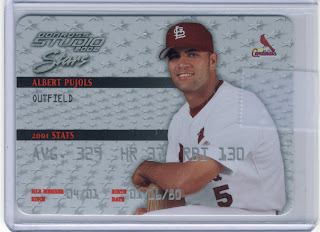 This is why my plan was to stick to 2010 and 2011 cards only and autographs. Sigh. Well at this point I had spent more than the $7.00 it cost to get in, but was still kind of bummed. 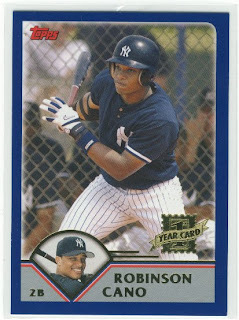 Until I found the holy grail of cards. I was asking around for Cano autos and a couple of guys said they were gone already (mind you they opened at 2pm, I walked in around 2:10). 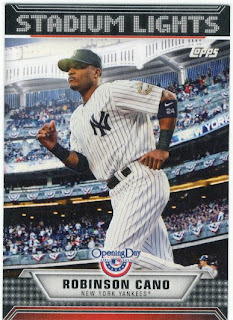 Then some random dude overheard me and was like oh, go to that guy he has a ton of Cano autos. OK, I'm in. This is the part where the clouds parted, the sun began to shine and the birds chirped. 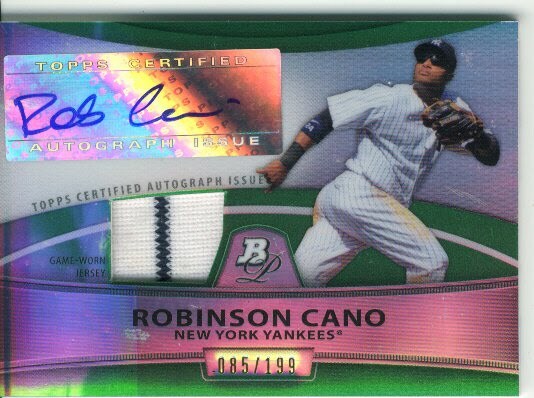 Sweet glorious stacks of Cano autographs. Most of which I already had, but then.... there they were. Three of the cards I wanted. One to finish the rainbow, one that I have been chasing around for years, and the other one I have been holding off on until I could get it for a fair price. Here they are in that order. 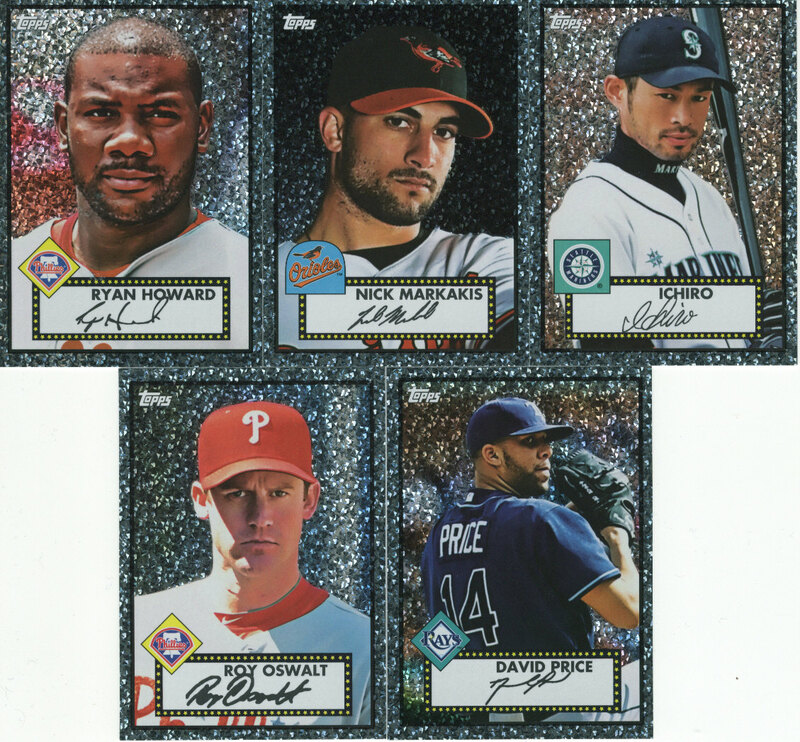 While it wasn't much in terms of quantity, this was the most quality cards I have picked up at this show in years. 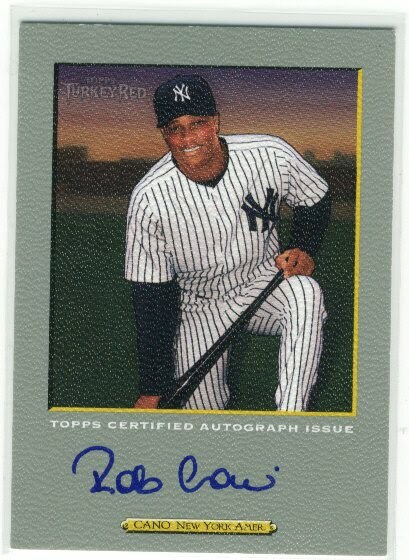 I normally end up with a bunch of dollar cards and maybe if I'm lucky, one autograph. I have been excited about the loot since I left the show, I feel like I accomplished something by filling some gaps in my collection. 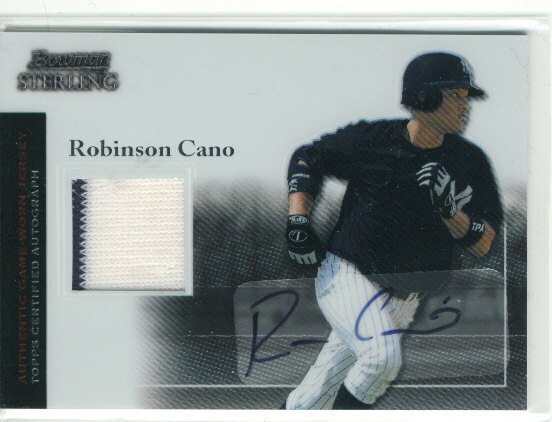 There are only two other autographs of Cano that I want in my earlier cards of him. Did anyone else make it to the show Friday? If you go today or Sunday, let me know if you felt the same way about the amount of vendors. Oh, and tell me what you got of course. This weekend the local card show at the Westchester County Center is back in town. I have missed the last 3 or 4 shows when it has gone on and I am debating on going tomorrow. 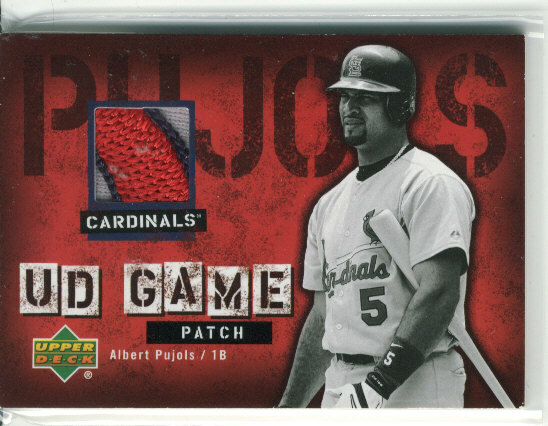 I like this show because I know most of the vendors, and one them are quick to point out their Pujols or Cano cards when I am approaching their table. I still haven't put away the cards I got the last time I went to the show in September... I know, terrible. The show opens tomorrow at 2pm and if I go, I will be there at 2pm before all the Yankees get picked through. Last time I went I got a Cano t-206 auto and a few cheap singles. 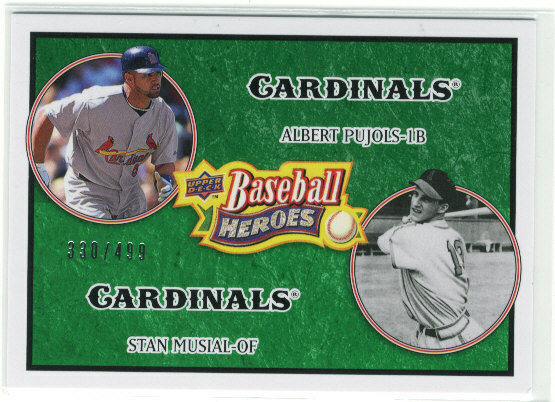 This time (if I go) I will probably just see if I can find a few Heritage singles so I am not tempted to open another single pack of that. Anyone in the area planning on making a trip to the show? I will post the info on the show in case someone is wondering who is signing this weekend. Kids Under 12 are always free! Free Gift pack of cards for kids 12 and under. Door Prize Raffles every day! $6.00 basic cert for all autograph guests appearing at the show - Courtesy of JSA. 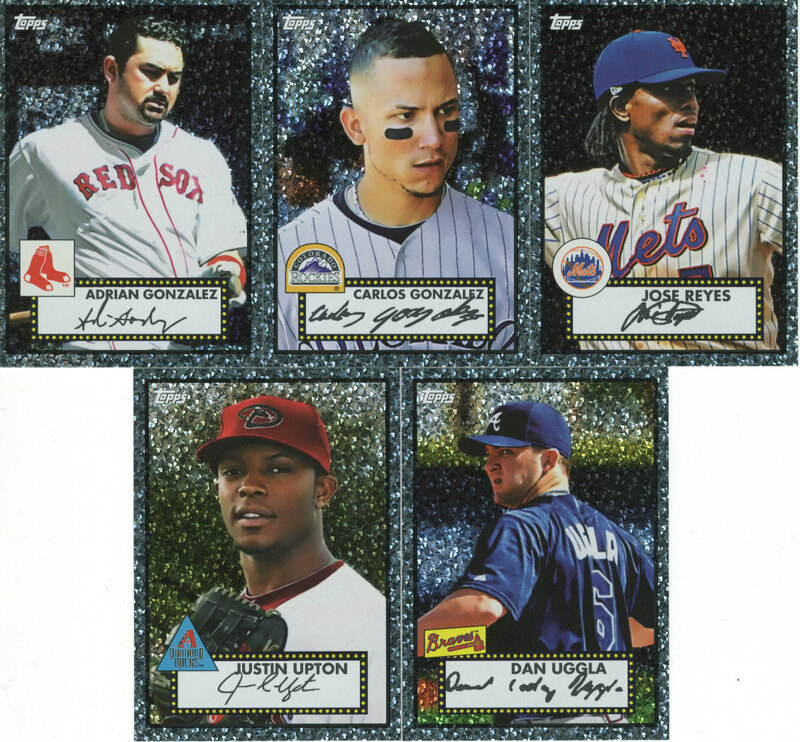 First of all, let me say that I am absolutely amazed that it took ONE week to get the packs in the mail for our case break of jumbo 2011 Topps Series 1. I did offer last night on Twitter to open the packs live on UStream and only one person responded. 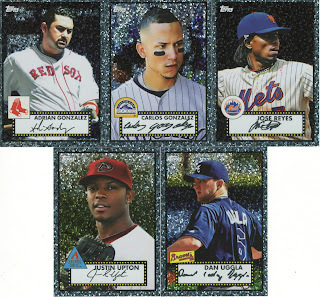 Since no one jumped, I decided to study and just scan the packs. I was hopeful that we would have gotten lucky and pulled an auto but no such luck on this one. 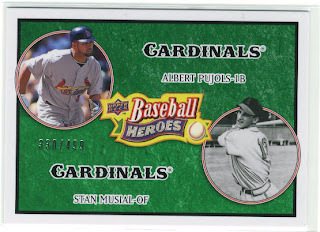 We had 6 jumbo boxes in the case and got back 6 packs. 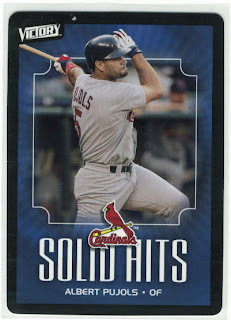 I scanned them in packs so that it made it easier to go through rather than having 30 cards on the post. Here are you options on having the cards shipped to you. 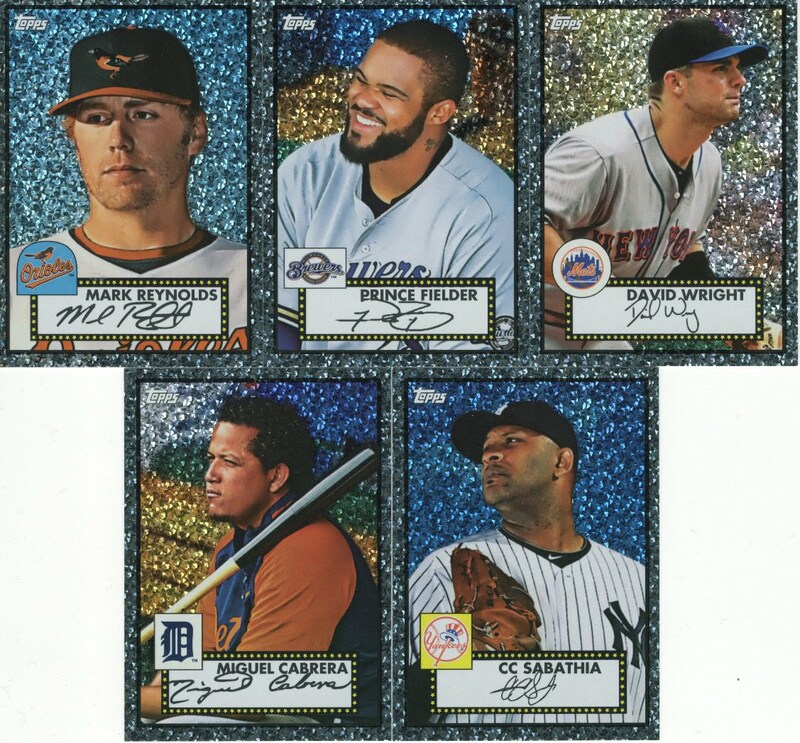 You can send $2.00 for a bubble mailer via PayPal gift; you can send me an SASE (PWE or bubble mailer) with the postage already paid and toploaders supplied; you can have me ship them with your Gypsy Queen or Topps Series 2 team cards for no extra cost. 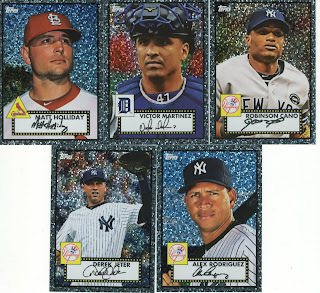 If I am shipping them with your next break YOU need to CONTACT me informing me what team you had in the 2011 Series 1, and what team you have in the Gypsy Queen or Series 2 break so that I can pair them up correctly at that time. 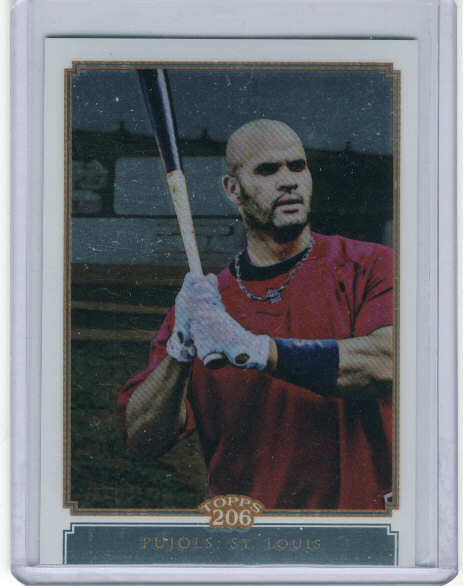 Any questions on getting the cards please ask in the comments or send me an e-mail. I will be sitting here studying for my upcoming exams so I will be able to get back to you rather quickly. What is the point of a release date?